Thanks for taking interest in what’s happening at WRRC. Check this section often for recent announcements, scholarship opportunities, and other important news. WRRC is pleased to welcome our newest faculty member, Michael Mezzacapo. 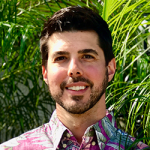 He has a joint position with WRRC and the University of Hawaiʻi Sea Grant. As a Water Resources Outreach Specialist, Michael will play a critical role serving as a statewide and regional liaison to government organizations, resource managers, NGOs, community groups, and decision-makers to provide state-of-the-art research information, technology and tools. He will also work in partnership with university staff and stakeholders to develop programs to provide education and collaborative outreach to address pressing water resource challenges across the Pacific region. Previously, Michael was the 2017-2018 Michigan Sea Grant Fellow at the International Joint Commission in Windsor, Ontario (Canada), where he assisted with public health research, science communications, and contributed to technical reports addressing transboundary water quality between the United States and Canada. Michael holds a Bachelor’s degree from Widener University in Health Science and a Master’s degree in Environmental Studies from Green Mountain College. In his spare time, you can find him hiking, gardening, cooking and traveling with his partner Ashley. He is also a licensed helicopter pilot and hopes to complete his glider certification in the future. Please join us in congratulating Michael on his appointment and welcoming him to our WRRC Ohana! 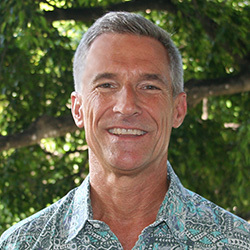 Congratulations to Dr. Roger Babcock, Water Resources Research Center and Civil and Environmental Engineering professor, who was awarded the prestigious 2019 Engineer of the Year by the Hawaii Society of Professional Engineers. See featured article in Wiliki O Hawaii, February 2019. Full Proposals due Friday, April 26, 2019 on eProjects for the 2020-2022 Grant Program for Hawai’i and American Samoa. The purpose of the scholarship is to further knowledge of Hawai‘i’s natural waters by providing financial assistance that may be used for anything related to costs of attendance or research. Join us for our upcoming spring 2019 Seminar Series. Water Resources Research Center’s Dr. Sayed Bateni has received a major award from the US Department of Agriculture’s Conservation Innovation Grants program.